Ships tomorrow if you order in the next 21 hours 24 minutes. 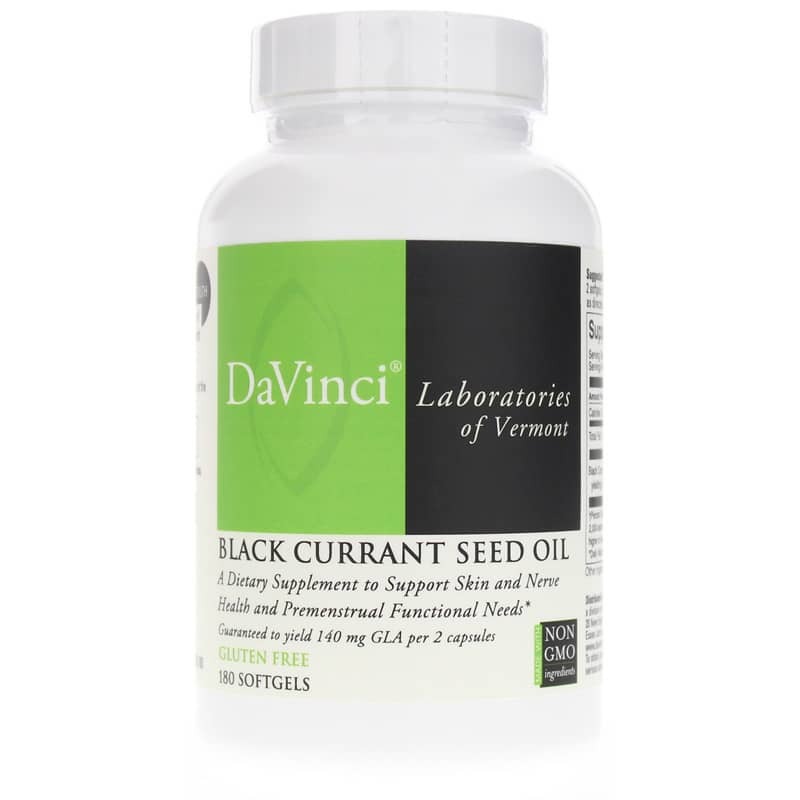 Black Currant Seed Oil by DaVinci may offer ideal support for uncomfortable PMS symptoms. Black Currant Seed Oil contains a rich source of the essential fatty acid Gamma linolenic acid (GLA) which provides support for alleviating symptoms associated with PMS. Try Black Currant Seed Oil today! Adults: As a dietary supplement, take 2 softgels, one-half hour before each meal, or as directed by your healthcare practitioner.